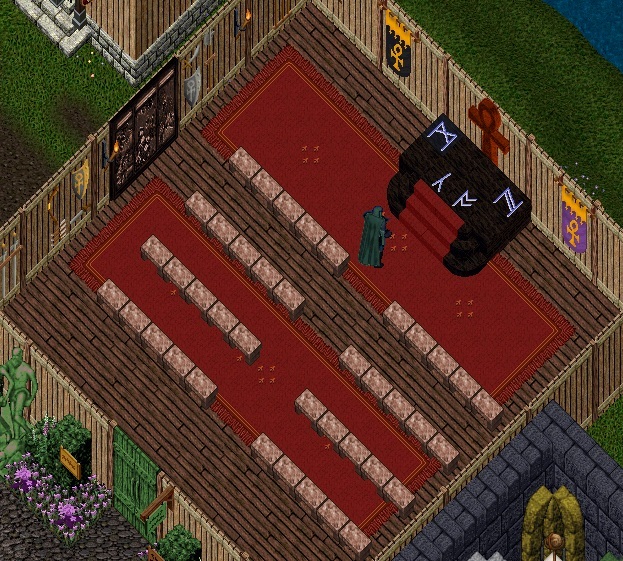 Located on the northern side of Trammel Britain is the Legends Event Moderator Hall. Next to the hall on the west sits the Communications Center. 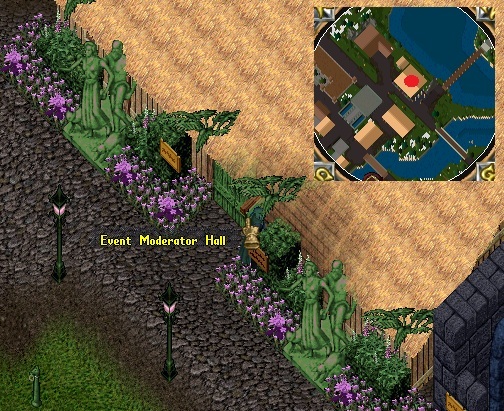 These locations were constructed and designed by the Event Moderators. They can be a valuable resource to any players or travelers passing through Legends. The hall has seen some design changes of late but in the past its main function has been as an assembly area for players and EMs. The hall is often used as a place where the EMs open gates that allow players to travel to events. The Communication Center that sits to the west of the hall can be helpful for players who wish to communicate with the EMs. 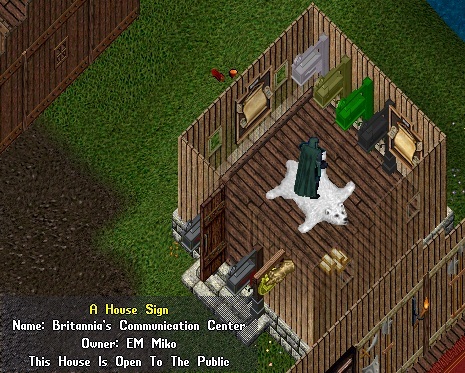 It is designed for players to drop written messages to the EMs when they are not available in game. The four colored mailboxes seen inside the Communications Center each hold a specific function. The bulletin board to the right of the mailboxes explains the function of each box. The board on the left is used for players to post any news or happenings in relations to current events on the shard. On the back eastern side of the building sits a group of monuments that encourages those who pass to investigate. 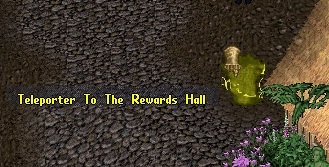 Finally, on the front western side just outside the hall is a teleporter that leads to the Rewards Hall. 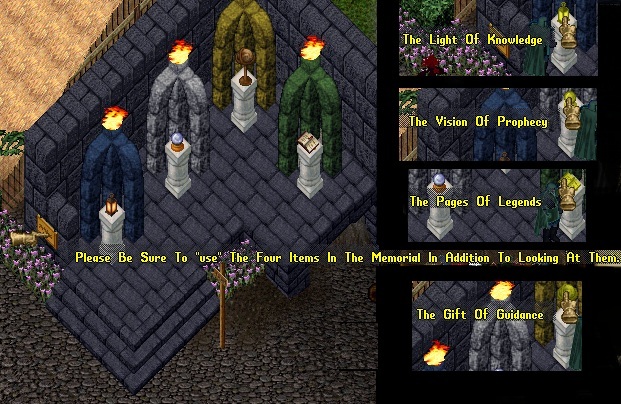 There one can find many unique items that are tokens of Legends past.